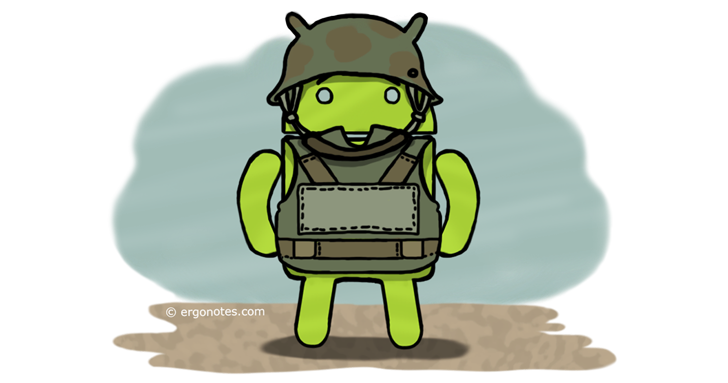 Are you worried about the security of your Android device? You should be. And here are five free and handy security apps that can help to protect you from fraudsters and hackers. Avast is a popular antivirus software on desktops. It is also available for Android devices. The app sports features like malware scanner, malware remover, network meter, protector, app locker, app manager, firewall (for rooted devices) etc. Avast’s virus scanner scans your installed apps automatically. It also takes care of the contents stored in memory card. You can schedule scans for certain intervals. Moreover, the program scans SMS and newly downloaded files to ensure complete protection. The app’s privacy reporting feature helps you to understand currently installed apps’ access policy, permissions and intentions. The backup option allows you keep a backup copy of your contacts, call logs, SMS and photos. The premium version extends backup area to apps, videos and music. 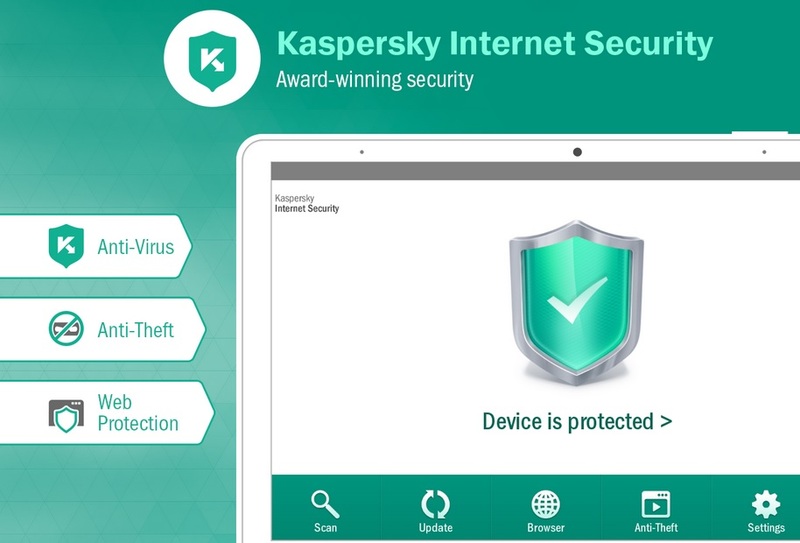 Kaspersky Lab’s Internet Security app offers a comprehensive package of safety utilities for your Android gadget. It offers anti-theft protection along with safeguard against Trojans, viruses and more. This single app can be used on both smartphones and tablets. The essential core protection tools are absolutely free. 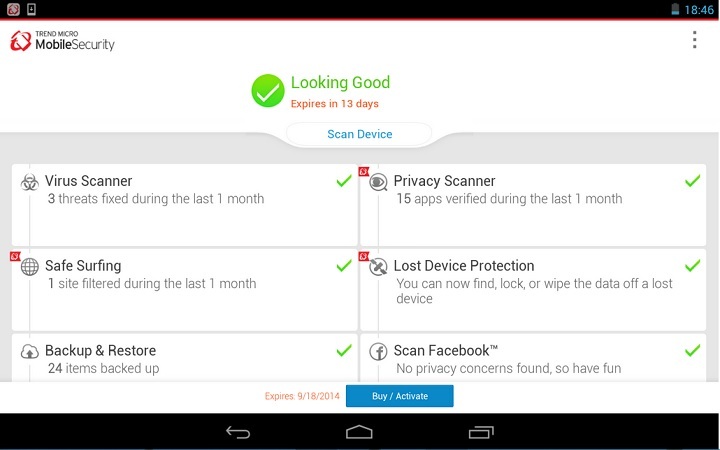 You can perform on-demand scans to detect and remove malware on your device. There are advanced anti-theft features like locating the device and locking it, playing alarm, wiping the memory etc. You can manage your device remotely using a personal online account. Not only malware or theft, Kaspersky Internet Security can assist you to block unwanted calls and texts as well. Norton Security & Antivirus can help you to protect your Android smartphone or tablet from threats like malicious apps, phishing, theft and so on. The app offers proactive shield against potentially harmful applications that could leak personal information, drain excessive battery or waste data. It features App Advisor technology powered by automated NortonTM Mobile Insight which keeps checking apps to detect suspicious activities. Like other similar apps, Norton Security & Antivirus can block unwanted calls and SMS. You could lock your lost or stolen phone by sending a command via text message. The app provides an option to lock your device when 10 failed attempts are made to unlock the pattern. As a protective measure, the utility saves the device location in low-battery situation. To locate the gadget remotely, you can check the stored and current location (if available) online. There is also an option to lock the device if its SIM card is removed. It also offers remote wipe and other generally used security features. Trend Micro Mobile Security & Antivirus app not only promises to keep you safe from malware, but also helps boost performance. The app is said to be able of providing 100 percent threat detection which is certified by AV-Comparatives and PCSL. The app can block malware downloaded from official Google Play store before installing them. After removing a malware, it can restore your phone’s normal settings. Trend Micro gives 50 MB free cloud storage to keep backup of your contacts, photos etc. There is a privacy scanner feature to better protect your personal information on Facebook. The software kills unnecessary background processes during a call if your phone faces low battery backup. For lost or stolen device, as one would expect, the app offers features like remote locking, memory wiping, tracking etc. 360 Security and performance booster scans installed apps automatically to detect threats. It also looks into your memory card and new apps to keep the smartphone protected from malware. The app comes with junk file cleaner to delete non-essential system files, app catches etc. It has speed booster and memory booster tools for one-tap performance enhancement. There is an app manager to manage installed applications in one place. 360 Security sports ‘intelligent’ power saver feature which can trigger cleaner when the phone actually needs to save energy. Other features include anti-theft utilities, apps encryption, RAM booster etc.